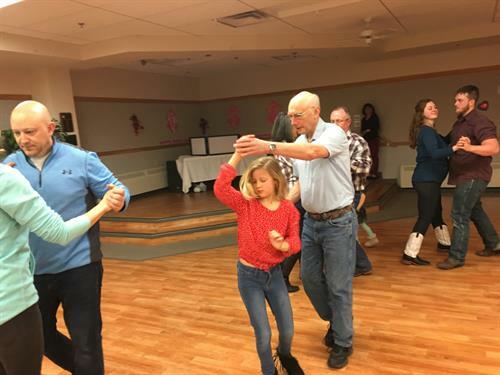 Every Monday evening in Feb, Mar, Apr we have our Club dance practice night, We offer dance lessons and practice in Two Step, Waltz, Cha Cha, East Coast Swing and West Coast Swing. All ages, singles or couples are welcome. Senior Center 1831 E 4 th St. 7 to 9 pm $3 for adults, kids are free.